If you haven’t noticed… we are on a bit of a heart obsession lately. 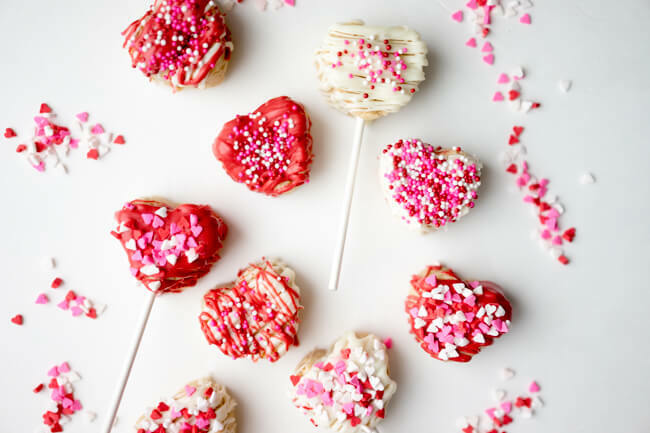 We’ve shared Heart Button Cards, Heart Bath Bombs, Conversation Heart Cookies, Heart Pencil Toppers and now we’re sharing how to make these adorable Heart Cake Pops! 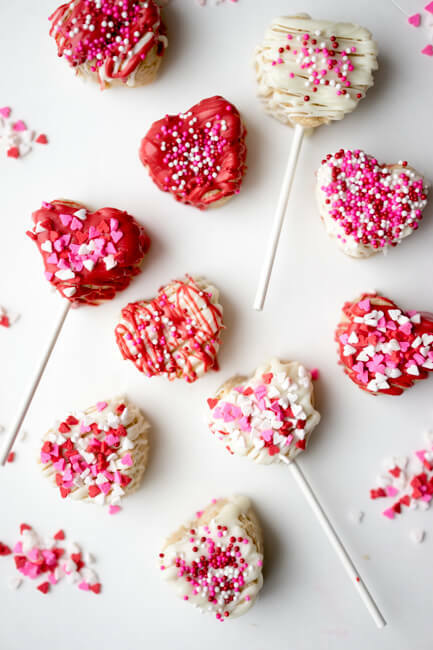 Have you ever made cake pops before? 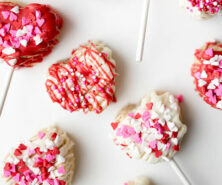 If you haven’t, be sure to review our Cake Pops 101 post. It is a great step-by-step tutorial on how to make cake pops. Perfect for your first time if you have never made them before! Here’s the pinnable image to pin for later so you can reference when you make them! Ok now how to make these adorable cake pops. I admit that I’m not a baking expert or Bakerella. I actually struggle to make cute baking treats. So if I can do these…so can you! 1. First you need to bake your cake. 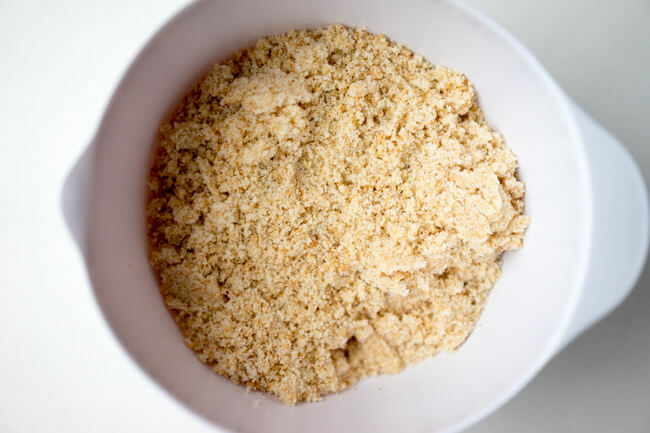 Once it’s baked and cooled, use a food processor to crumble the cake. If you don’t have a food processor you can do this by hand but it will just take longer! 2. Next you mix in your frosting. I used about 2/3rds of the jar but start slow and mix and add more as needed. You want it to be sort of like playdough. You don’t want it too sticky or creamy with the icing so add a bit at a time until you get a good consistency that will allow you to roll it easily into a ball. 3. Insert cake mix into your heart mold. Press down so you fill the full mold. 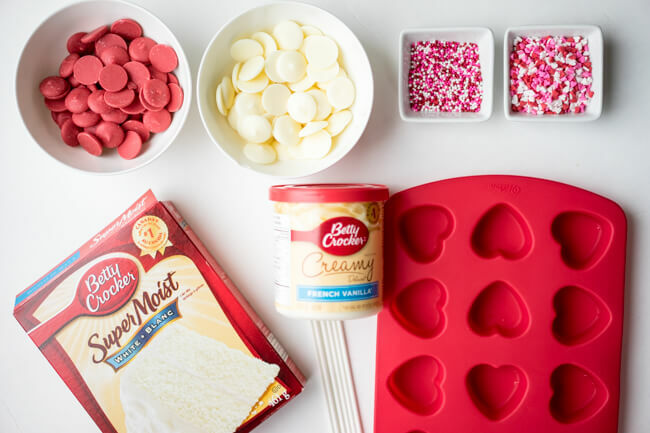 If you don’t have a heart mold, you could also lay out your mix in a pan and use a small heart cookie cutter. 4. Now chill for 2 hours in the freezer or refrigerator. 7. Remove your cake pops from the fridge. 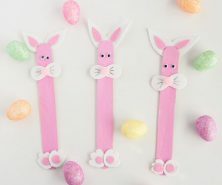 Dip some chocolate onto your candy sticks and insert part way into your cake pop. 6. Now is the fun part! Time to decorate! This is also where the ‘easy’ part comes in. I have never been able to perfect the cake pop ‘dip’ so I cheated a bit in decorating these (which I find is the easy way to do it!). Here’s the easy way: taking your spoon, drizzle the chocolate on top of your cake pop. They will almost look professional this way! 😉 Either way they taste delicious. Now sprinkle with your Valentine’s day themed sprinkles. Next you mix in your frosting. I used about 2/3rds of the jar but start slow and mix and add more as needed. You want it to be sort of like playdough. 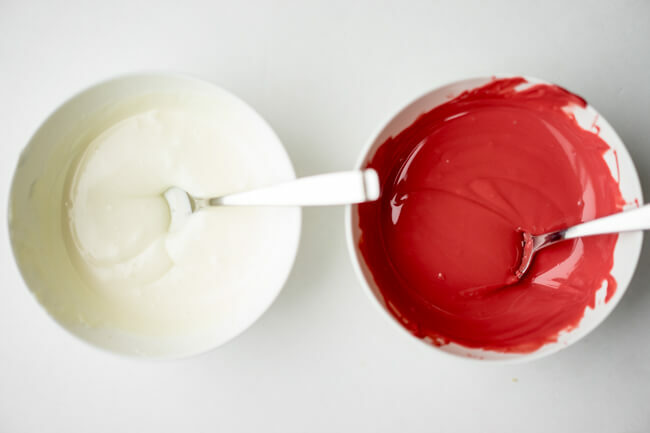 You don't want it too sticky or creamy with the icing so add a bit at a time until you get a good consistency that will allow you to roll it easily into a ball. Insert cake mix into your heart mold. Press down so you fill the full mold. 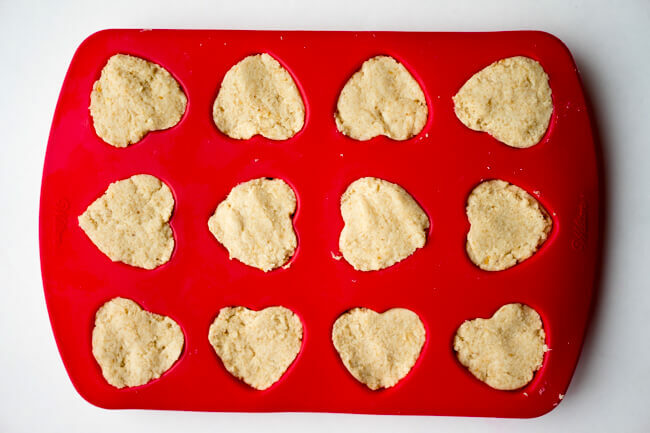 If you don't have a heart mold, you could also lay out your mix in a pan and use a small heart cookie cutter. Now chill for 2 hours in the freezer or refrigerator. Remove your cake pops from the fridge. 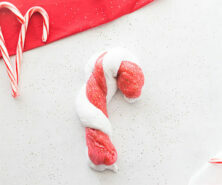 Dip some chocolate onto your candy sticks and insert part way into your cake pop. Now is the fun part! Time to decorate! This is also where the 'easy' part comes in. I have never been able to perfect the cake pop 'dip' so I cheated a bit in decorating these (which I find is the easy way to do it!). Here's the easy way: taking your spoon, drizzle the chocolate on top of your cake pop. They will almost look professional this way! 😉 Either way they taste delicious. Now sprinkle with your Valentine's day themed sprinkles. 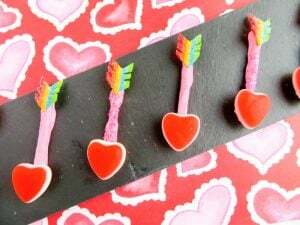 And if you’re looking for another easy and delicious Valentine’s Day treat – make these fun and simple Cupid Arrow Candy Treats! 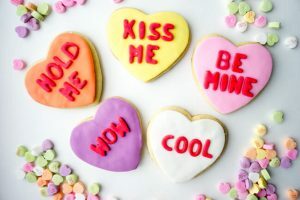 We also love these Conversation Heart Cookies. The best part is you can customize and make all different sayings! And I promise you working with fondant is just as easy as making these cake pops!